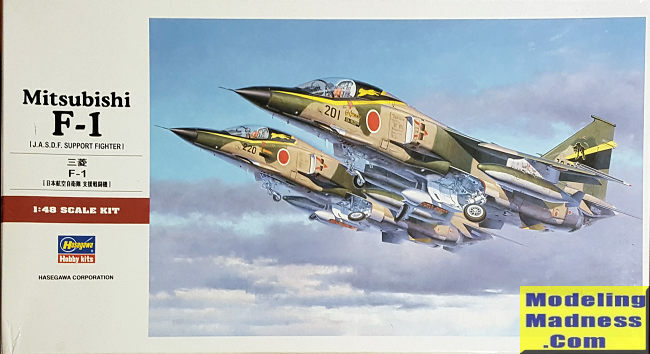 In the mid 1960s, the Japan Air Self-Defense Force (JASDF) commenced studies into an advanced jet trainer which could also be modified to serve in the ground attack and anti-shipping roles. After considering license production of the T-38 Talon and SEPECAT Jaguar, Japan decided to develop its own trainer, the supersonic Mitsubishi T-2, this first flying on 20 July 1971. Cost over-runs in the T-2 program led to the proposed single seat attack version almost being abandoned, but the cancellation of the Kawasaki P-XL, the planned replacement for Japan's Kawasaki P-2J maritime patrol aircraft freed-up funds, while making it important to keep Japan's aviation industry employed, and contracts were awarded for the development of the attack version as the FS-T2kai in 1973. The new aircraft was a minimum change derivative of the T-2, with the rear cockpit being converted to an avionics bay by removing the rear seat, and replacing the canopy with a simple unglazed access hatch. Two additional hardpoints were fitted under the wing to allow carriage of a heavier weapon load, and the avionics were improved, with a new J/AWG-12 radar set, similar to that fitted in British Royal Air Force F-4M Phantom fighter jets. This set provides ranging information. Aside from the avionics changes, deletion of the rear seat, and new one-piece canopy, the only other major change from the T-2 was the strengthening of the airframe to enable it to carry a larger weapons load than the T-2. The F-1 is fitted with an internally mounted 20 mm JM61A1 Vulcan cannon with 750 rounds of ammunition. The aircraft also has seven external hardpoints for the carriage of a wide variety of stores. The fuselage hardpoint and inboard pair of underwing hardpoints are "wet", which means they can be used to carry external fuel tanks to increase the aircraft's range. The primary weapon of the F-1 is the ASM-1 and the newer ASM-2 long-range anti-ship missile. This weapon is roughly in the class of the American AGM-84 Harpoon or French AM.39 Exocet. Other weapons carried include the all-aspect short-range heat-seeking AIM-9 Sidewinder air-to-air missile for air-to-air combat. This weapon is carried on the wingtip rails usually, but it can also be carried on the outboard underwing hardpoints for the F-1's secondary air defense role. Other air-to-ground weapons carried include rocket pods (JLAU-3/A) of 70 mm (2.75 in) size as well as bombs of 227 kg (500 lb) and 340 kg (750 lb) in size (Mk82 and M117 respectively). In addition, the Mk-82 and M117 bombs can be fitted with infrared guidance kits, turning them into precision-guided weapons that home in on heat radiation emitted from seaborne targets such as ships or other ground-based targets. When fitted with this kit, the bomb becomes known as GCS-1. The F-1 was replaced by the F-2 (Japan/U.S. developed, based on F-16C/D), as well as upgraded F-4EJ "Kai" Phantom IIs. The last six active F-1s, based at Tsuiki in Fukuoka Prefecture, were retired on 9 March 2006, having reached the 4,000 hour limit of their airframes. Interestingly, Hasegawa produced this kit prior to doing the T-2 trainer variant. Indeed, there have been at least ten different boxings of the F-1 kit, mostly decal changes to allow modeling of special scheme and other planes. This is the basic boxing, so if the Limited Editions are unavailable, one can still build an F-1 in 1/48. The kit is standard Hasegawa fare in all respects save one. The two seat cockpit is provided, though only the front will get the five piece seat, control and instrument panel. 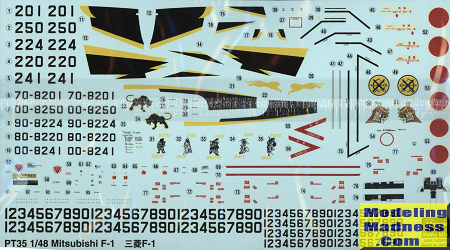 Decals are provided for instruments and you can install a pilot figure should you desire. There is no indication of nose weight requirements as the wheelbase is long enough not to really need it. Intakes go a decent way back and have the usual outer section to install as on pretty much every similar kit of this arrangement. Interestingly, the nose cone is in two parts as is the tail cone. You would have thought it could have been done as a single piece. Fin halves are incorporated into the fuselage halves with different pieces to fit atop it. The fuselage has a bunch of vents and scoops to add on. The wing is a single upper piece that incorporates part of the upper fuselage with two lower halves. Pylon holes are flashed over and will need to be opened. The underside of the fuselage is like that of the Jaguar which means large inserts. The big rear one has the speed brakes and you can pose those open or closed. The large forward insert includes the nose gear well. More bits fit on the underside as do the small rear strakes. Each exhaust consists of four pieces and these assemblies can be installed after the airframe is painted. The landing gear are properly complex with the large nose and main gear doors being normally closed. 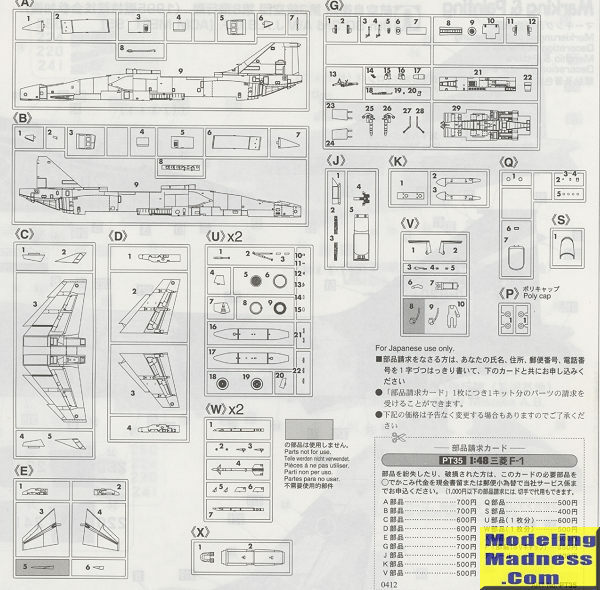 Unlike most Hasegawa 1/48 jet kits, this one comes with some stores, including two large fuel tanks, wing tip Sidewinders and a centerline pylon with a practice bomb canister. Any of the anti-ship missiles will need to come from a separate weapons s et as you don't get enough to fill all five pylons. I think the canopy can be displayed open, though the instructions do not show this. The F-1 operated with three squadrons in the JASDF. The box art plane is a bit special in its markings and is with the 8th Squadron, the last to operate the type. Others were 3 and 6 Squadron. All three aircraft are in the original four color scheme, similar to how the RF-4Es were painted in two greens and a light brown over light gull grey. You are provided five different serial number options already built up, but there are enough additional numbers to do any in the fleet. Decals are very well done and provide a goodly number of stencils. Often times kits like this get overlooked by modelers and it is a shame as this is a very nice one. It makes into a fairly large plane and is something that one does not see very often from US and European modelers. It obviously sells well in Japan as the LE boxings tend to sell out rather quickly.